What does a Substance Abuse Resource Person do? He supports Rostered Ministers as they deal with substance use issues among the people they serve. Who is this “resource person”? Otto Schultz is a Lutheran Pastor (Ret.) who is also a Licensed Alcohol and Drug Counselor (LADC) with B. A. and M. Div. Degrees. How can this resource help my ministry? He works with Rostered Ministers on substance use issues not only as they affect individuals but also their families and friends. He can help you get them connected with appropriate treatment and prevention resources. He also provides education through presentations and seminars from one hour to one day in length. He gives completely confidential support to Pastors struggling with substance use issues in their families and in themselves, helping them connect with clergy in long-term recovery. Is he a counselor we refer people to? No. He is not a counselor seeking referrals. He does know of appropriate treatment and prevention resources to which he can refer. Does he have any experience in this area? He has been working in the substance abuse field since 1975. He has served as a pastor, treatment chaplain, alcohol/drug counselor, prevention educator and program developer. 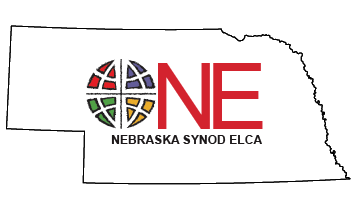 A member of the Nebraska Synod, he has served Lutheran Churches in Missouri, Ohio and Kansas. He has led hundreds of workshops on substance abuse issues for church professionals, business leaders and other professionals. He has also coached hundreds of families in interventions. He has been blessed with personal recovery from alcohol dependence for over 40 years – one day at a time. A member of Our Saviour’s Lutheran in Lincoln, he has two children, Leighun Brabec of Lincoln and Matthew Stahl of Caro City, MI. 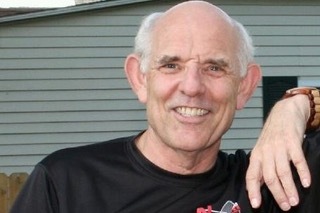 He holds dearly the belief that there will be racquetball in heaven.